Drawing inspiration from fellow Queenslander Clive Palmer, the Maroons have ripped-off a heap of expectant people by magically resurrecting from their own self-declared death. 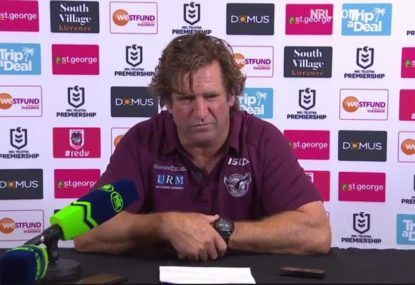 Queensland’s abominable 18-16 victory in Game 2 has set them cruising like a freed chubby magnate towards the grossest of series victories in Brisbane. Not only this, it has taught us New South Welshpeople a lesson on the dangers of allowing ourselves to believe. Let’s be gravely honest. With the Blues newfound belief and Queensland’s newfound reactionary behaviour, the shield should’ve been engraved before Grinspoon started. New South Wales had their first unchanged side since it was a penal colony, whereas Queensland were vulnerable with a new pack of low-cost alternatives labelled I Can’t Believe It’s Not John Buttigieg. 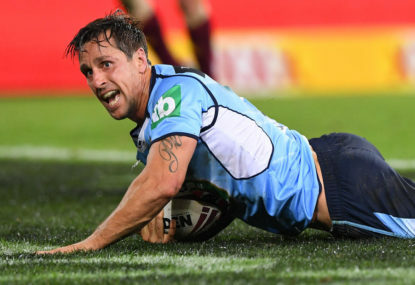 Even the Maroons handy returnees of Johnathan Thurston and Billy Slater were trumped by New South Wales’ 1-0 lead and Sterlo. Then with a 16-6 halftime lead and superb performances coming out the ying-yang, the state was ordering longnecks for breakfast. 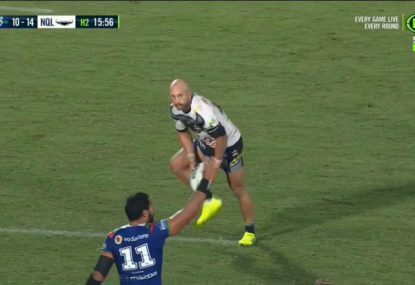 It was a time of the night where Aaron Woods was leading, James Tedesco was slippery and Jarryd Hayne was yet to make a rash of bonehead plays. Jake Trbejovic was then propping up the frontage with the soft hands and evil shoulders of a genuine lumbersexual, and I was thinking I really must book him in for a massage. Leading them all was Josh Jackson with an influence on the match that was immeasurable, mainly because I couldn’t find his stats. Then the killer blow to the Blues. Billy Slater’s shoulder had been targeted, which paid dividends when it worked on Thurston’s. At this point, the Maroons were on their way back to their caravans. But alas, horrifically irreversible muscle memory did eventually take control. After scrapping their way back in to the match, the Maroons capped their resurgence in typically nauseating style with a clutch conversion by the half-tranquilised Thurston in the 77th minute. 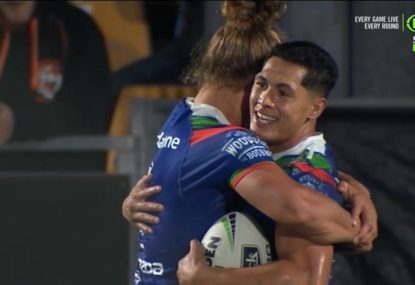 This followed from a Dane Gagai try which followed from sets of Queensland attacks which followed from hours of New South Wales adroitly storing their cue in the rack. 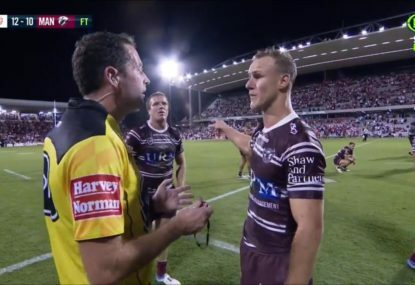 Usually this is the part where further muscle memory takes hold and we quibble in tongues over referees, Mitchell Pearce and Cameron Smith’s diplomacy. But I’m too deflated and all I want to do is drink those breakfast longnecks until I forget my birthplace. Let this be a lesson to foolish optimists of the New South Wales breed. With the series at 1-1 heading to a decider at Suncorp, suddenly the most attractive option for that Wednesday night is Masterchef or a lobotomy.